This swoon-worthy bridal shop on College Ave. is sure to become an instant favorite. Joon Bridal — which coincidentally opened in June — has been a dream of Beth Talebi's for quite some time. Beth graduated from the University of Arkansas with a degree in apparel and she's spent her entire career since working in the fashion world. She went from interning in New York City to a buying career with two major department stores to working as an apparel analyst for Walmart. She says she always knew that the corporate setting wasn’t her final destination and she's now fulfilling a life-long dream in entrepreneurship. "There’s no time like the present," Beth says. "Women today are interested in standing out and being unique. I wanted to provide an outlet for that through wedding dresses. 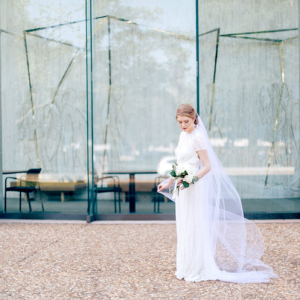 Northwest Arkansas is a booming [area] and I know local brides can handle the vibe we’re putting out." 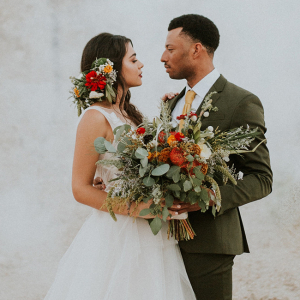 There's also a special story behind the bridal shop's name: Beth's husband has Persian in his blood and in Persian culture, Joon is considered a term of endearment. The word “Joon” is equivalent to “my love” in English. "It’s also our daughter’s middle name, so it’s special it us," she says. Joon is that entrepreneurship dream come true for Beth. 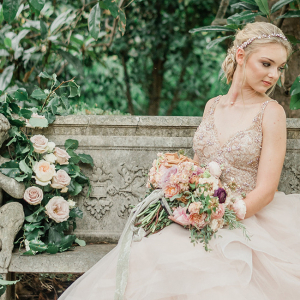 The Fayetteville bridal boutique will open its doors to the public with a grand opening celebration on June 7-8 and Beth will have her first appointment on June 9. The space itself is a lovely little home off of College Ave. with plush seating, vintage rugs, an unreal macrame door hanging and a room devoted to showing off the gowns in a gorgeous, understated way. "People that have been to our shop describe it as welcoming and warm — which is exactly what we want," she says. 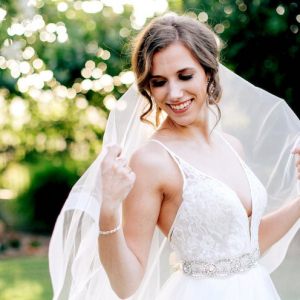 "We want you to feel comfortable in a cute space while finding your perfect wedding gown." Joon isn't filled to the brim with gowns. Instead, Beth offers a carefully curated option of unique-to-Arkansas brands such as Alexandra Grecco, Leanne Marshall, Truvelle, Made With Love and Rebecca Schoneveld. "Come fall, we’re bringing in some amazing, true bohemian designers and are consistently seeking the latest designs to keep our inventory fresh," she says. Brides can expect to find gowns that range from $1,600-$5,800, with the average being around $2,200. Right now, the shop caters exclusively to bridal fashion and accessories but Beth says in the future the shop might be open to venturing outside of that box if the design fits into her vision. Beth's mission with Joon is to push the envelope and take pride in being different. She wants women to feel confident and special from the moment they step in her shop. Beth would describe the atmosphere at her store as "intimate and personal." "Our shop is featured in an older home because we’re by appointment only," she says. "Each bride and her family will have the shop to themselves during their appointment. We want your experience at Joon to be special and comfortable." Joon Bridal is officially open as of tonight, June 7, with their Grand Opening Celebration from 6-8 p.m. The store is located at 160 N. College Ave. in Fayetteville. Guests can expect tasty treats and pretty gowns and an exclusive first look at the boutique. For more information or to book an appointment, head to Joon's website. You can also follow along via Joon's Facebook or Instagram pages.